EZPLAYZ is not an approach to coaching football strategy and telling you how to coach your youth football team but rather a carefully thought out eBook of animated football plays to ensure your players will know what to do when the ball is snapped. Coaching youth football strategy and the approach to the football game comes from the Coach, not a book. 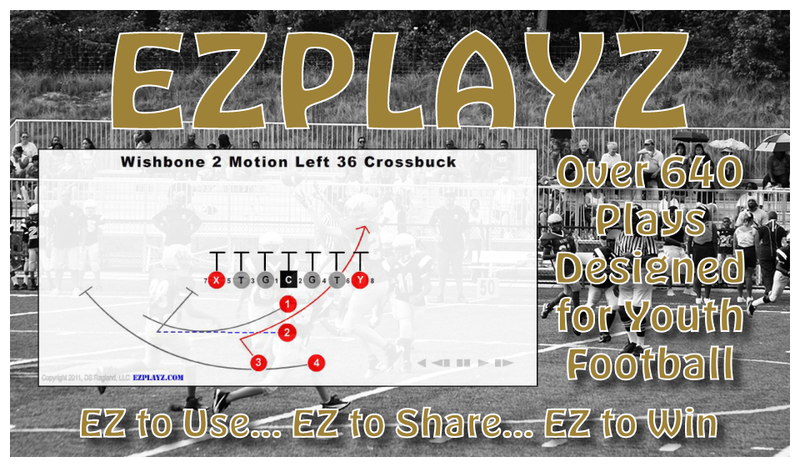 EZPLAYZ allows you to concentrate on teaching the fundamentals and techniques of youth football and gives you the tools to execute on the football field.